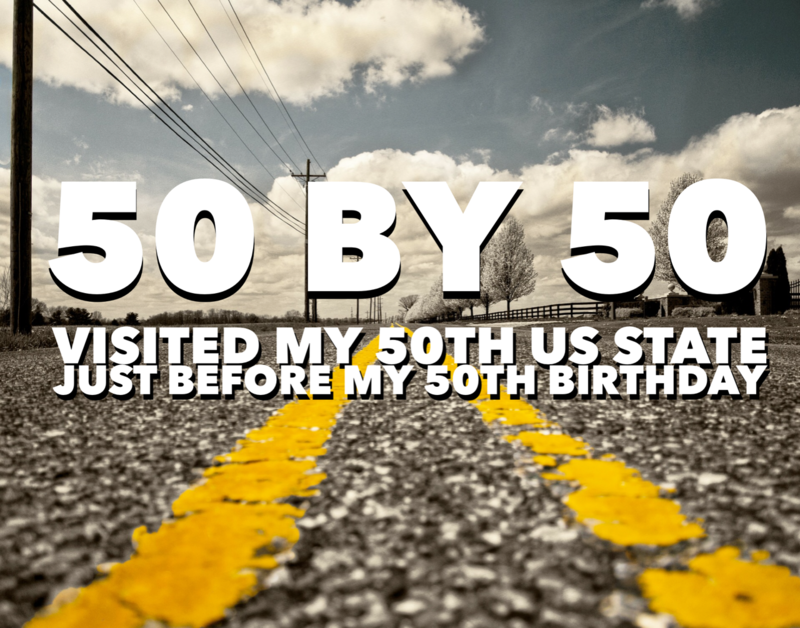 Visiting All 50 States by the Time I am 50! DONE! I don’t remember my parents at the age of 50 exactly, but I do remember thinking 50 sounded really old for a long time. It no longer sounds that old and that has been shifting over the years but today I am turning 50. That almost feels like someone is pranking me! 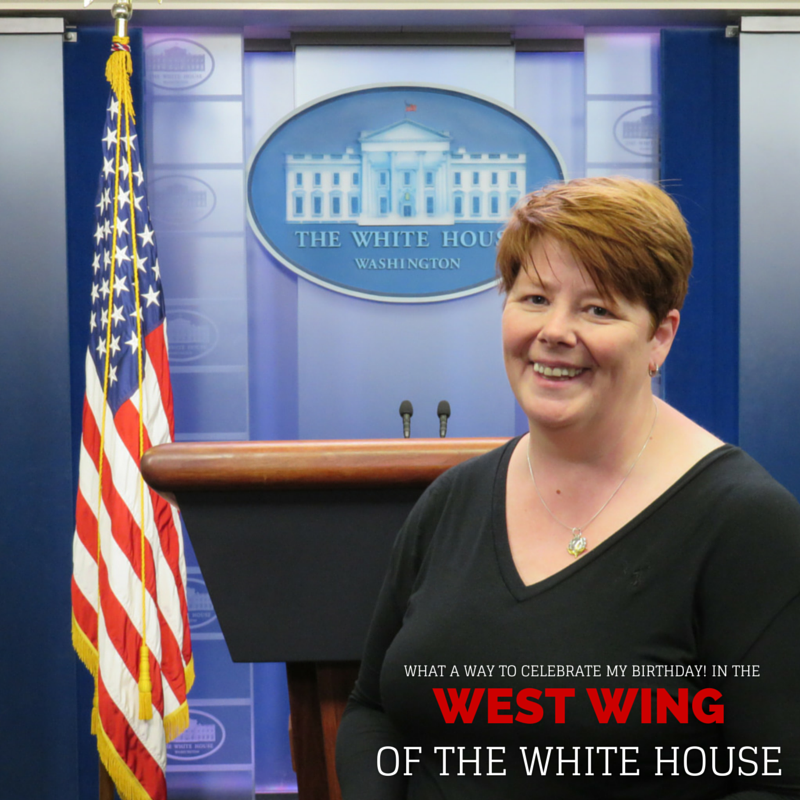 Sure, a 50th birthday can cause one to pause a bit to reflect, but I have lots of awesome things to reflect upon. And my plan is to keep going! For that reason I decided to throw myself a celebration of sorts with a trip to the last of the states I hadn’t visited. 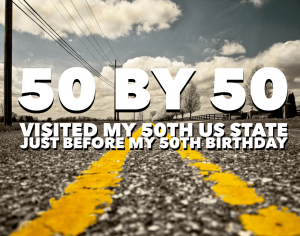 The goal of visiting all 50 states didn’t come up til recently when I saw the symmetry in the idea…No worries, I will keep traveling… lots unseen in every one of these states, but check out some of the memories attached to the 50 states! Arizona — Lots of trips to Phoenix to see cotton farms in Eloy, Casa Grande, Maricopa & more. Colorado — My first trip to Colorado was with my college friend Sheryl who was from Colorado Springs. While I remember some of the sights & great time with her family, I most remember trying to get back to college in her Camaro in a crazy snowstorm! Roads were closing right behind us. Connecticut — Living in White Plains, NY for years, I frequently went to Connecticut. Beautiful place. Remember seeing Giancarlo Esposito do a play in Stamford…. He’s still a favorite actor. Delaware — Taking Amtrak from Penn Station to Wilmington was pretty routine for a while. Lots of visits to a client. Later I realized there was more to the state than business. District of Columbia — Folks who read the blog often know I love our nation’s capital — spent my birthday touring the White House last year and took mom up last spring for her first trek. Georgia — Atlanta seems to be ground zero for so many conferences these days but I loved being on the backroads talking to cotton and peanut farmers. And let’s not forget Savannah…. Love Savannah. Hawaii — Several years ago, I had the chance to go to Hawaii for work — one more proof point in the #ilovemyjob mantra. A friend and I went to the Big Island for fun too! Idaho — I will admit this was a really brief visit earlier this year but definitely memorable. Went to Coeur d’Alene for dinner at a restaurant high above the lake, incredible view. And yes, I had potatoes. Illinois — Chicago is probably the most notable but I’ve enjoyed visits to Belleville, Metropolis and lots of Illinois farms! Indiana — Last time I went I got to see The Farmer’s Life’s home turf and Fair Oaks Farm, but that visit when I was in grad school & went for work but found time after dinner to visit with college friends Kelly & Bruce… that was a major moment for me back in the day. Iowa — First time I drove a big piece of farm equipment was in the Amana Colonies for a farm show… that Terra-Gator was awesome. 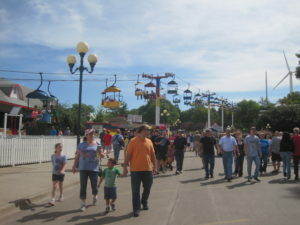 Countless farm visits since and don’t forget the Iowa State Fair. Kansas — Guessing the Walnut Valley Bluegrass Festival in Winfield was the first cause for me to go to Kansas though I may have passed through before that. Still remember seeing Doc Watson play there. Kentucky — Hmmmm…. Not sure what to list here but I know I can’t fail to mention my first foray into understanding livestock at NAILE and then more recently, celebrating my dear friend Steve & Dan’s wedding. Louisiana — Maybe my visit to Mr. Ray’s was the first time for me in Louisiana…. that was my first business trip. Of course, I have had lots of trips to other farms and New Orleans too! 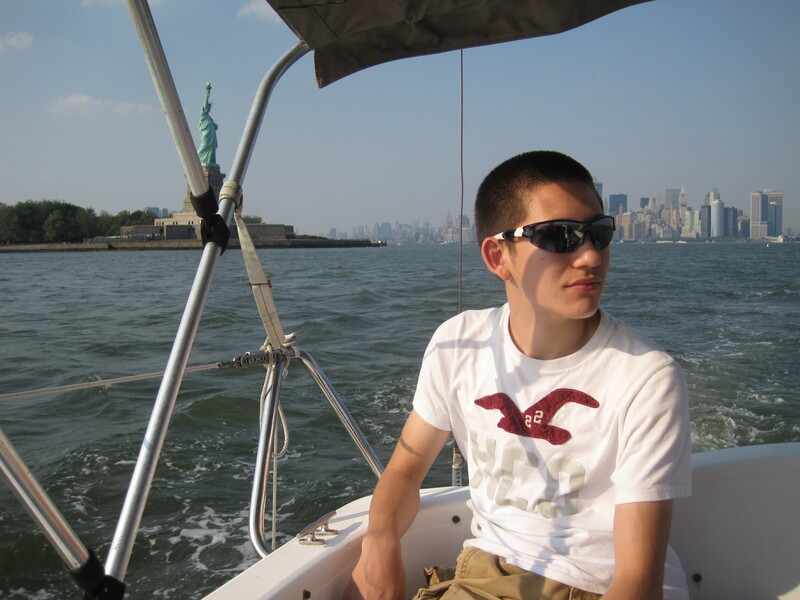 Maine — When I lived in NY, just getting to Maine was a big goal and believe me it was memorable to get there. 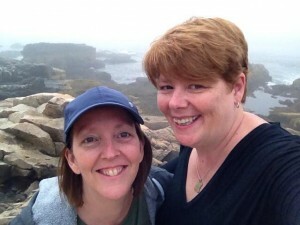 But I think watching sunrise at Bar Harbor with my sister surpassed the early memory. Maryland — Hmmmm…. really not sure on early trips but I can tell you most trips have included crab cakes! I remember being surprised by the Mason-Dixon Line as I moved to NY. Great combination of farmer & blogger friends in this state. Massachusetts — My friend Barb from grad school and I took a long fall weekend to Boston and Salem once… still remember how extravagant that felt at the time. Michigan — I helped friends get ready to make maple syrup, saw a robotic milker at a dairy farm have visited a cherry farm there. And a couple of times I’ve been able to visit Barb in Ann Arbor! Minnesota — Willmar, Minnesota for big farm equipment was my introduction. Lots of farms since but I also have to say I’ve enjoyed getting to know Minneapolis – St. Paul. Mississippi — Living in the Delta a dozen years definitely led to many memorable moments! Missouri — I keep stacking up Missouri memories since I live in the Show Me State. My favorite decadent snack — choco poppo — is made in KC. My friend Chris showed me my first pig farm here too. 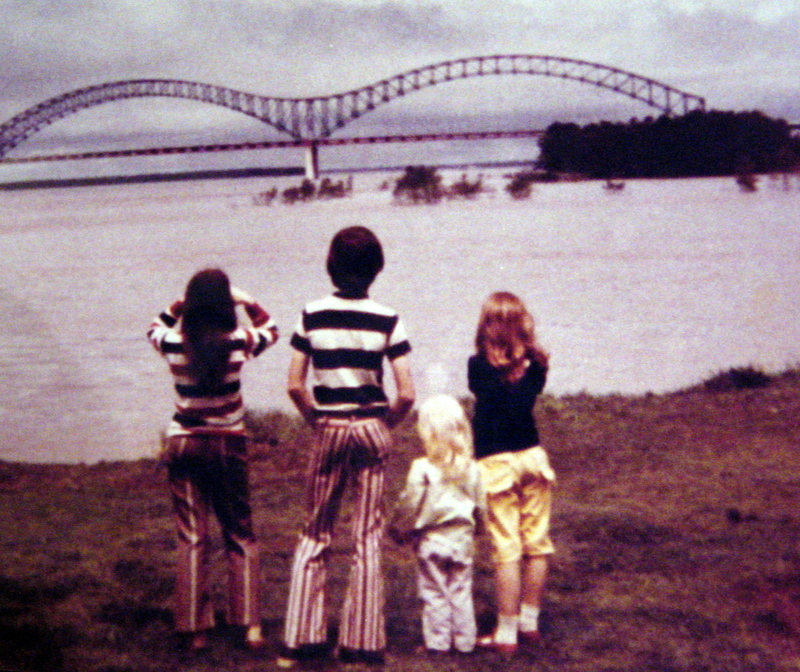 Check out my St. Louis A to Z series if you plan to head this way sometime. Montana — This was in the last handful and got checked off with the great American roadtrip a couple of years ago. Love big sky country (as long as it isn’t winter). 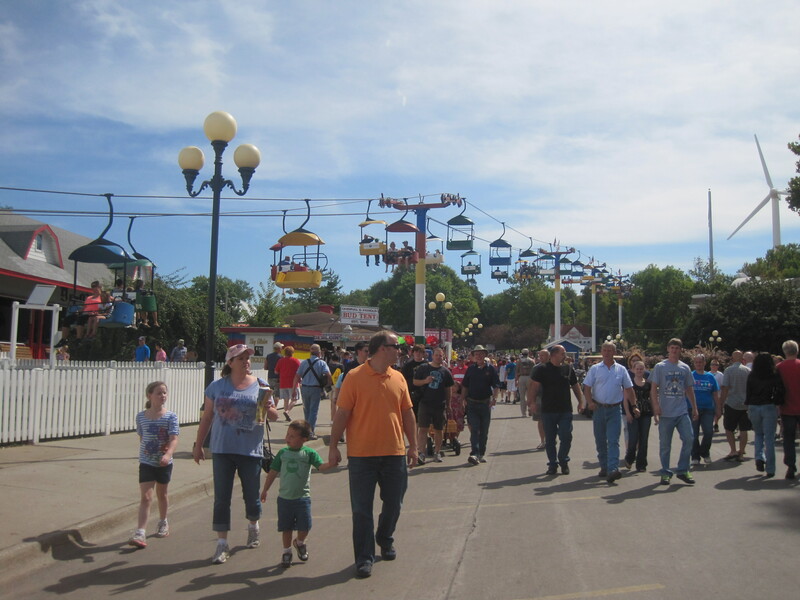 Nebraska — Visiting the Hunnicutts, Johnsons and checking out the Nebraska state fair a few years ago are awesome memories. Nevada — First trip to Nevada, I landed in Reno and headed straight to Lake Tahoe. That trip was memory filled thanks to cotton peeps. New Hampshire — Same story as Maine with a notable exception…. we went to the New Hampshire State Fair and learned so much about maple syrup that I still haven’t looked at pancakes & waffle the same! New Mexico — One of my work trips was really getting close, when my host found out I hadn’t been we headed over there for lunch… yummy yummy lunch. 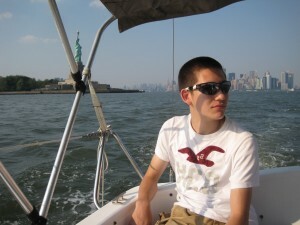 New York — Home for four years. I miss it terribly and yet I love living in a part of the country where it seems easier to relax outside. North Carolina — My sister Cheryl moved to NC when I was a teen so I have been on the frequent traveler list a long time. I spent one summer in college there as nanny…. love my nieces! North Dakota — When I did the map of states I had visited and hadn’t, a friend in North Dakota took it as her mission to change that. Once I headed that way, I ended up in NoDak three times in a few months time! The DakVac was filled with experiences like working cows and seeing an albino buffalo! Ohio — Home for my brother and a bunch of friends, I first went there for work and now when work gets me there I tend to take play time too! Oklahoma — Where I spent my college years…. a place of fries with gravy, dust storms, tornadoes, where I was introduced to Walmart and budgeting. It is dear to me because I met some of the greatest folks on Earth there. 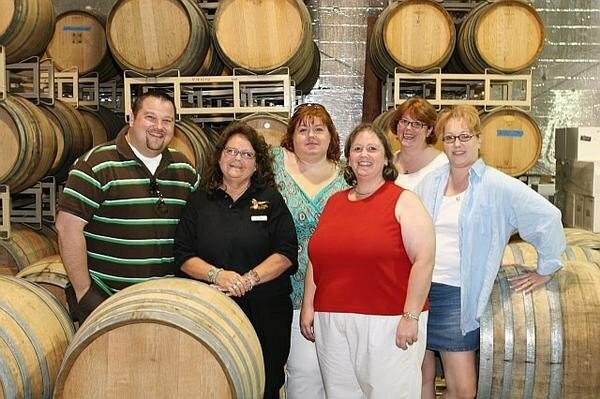 Oregon — I giggled thinking about my first visit to Oregon being for an ag editors meeting and how much fun some friends and I had doing a winery tour…. may have to write that up! Have been back quite a few times since. Pennsylvania — When I moved to NY, I drove by myself. I was driving hard to just get there but Hershey’s spoke to me. I could smell chocolate. I had to stop. I’ve been back several times too! Rhode Island — I have to admit, I’m not too sure what I had done to check Rhode Island off the list but know I had been previously. But Cheryl and I watched the sun set at a lighthouse… whoa. Really awesome. South Carolina — For several years I joined my sister’s family on vacation at Edisto Beach. Its just south of Charleston which is one of my favorite cities and one I always accept invites for! She crab soup…. say no more. South Dakota — Early in my career we did some training in South Dakota but more recently I helped wean calves with the Hadricks and I soaked up a lot of the state on my Montana roadtrip…. need to write up some more of that. Tennessee — Home. All kinds of home. Texas — College trips to Texas were always fun, especially when I found a way to visit my cousins too! And my beloved uncle made sure every visit to the Abilene area was stellar. Miss him. Vermont — Some of the most amazing fall leaves ever. Virginia — In 6th grade we took a bus trip to Virginia Beach & Williamsburg…. makes going back to Virginia Beach really seem different. Love the state and have visited lots of farms there too including Cavin Farms. Washington — Just wrote about the 16th birthday trip I took Georgia on. Have been to Seattle and Spokane both but would like to see more of the state. West Virginia — The mountains of West Virginia are really beautiful. Almost heaven some would say. Wisconsin — Lots of trips to Wisconsin over the years. Early in my tenure with G&S, a client held a meeting in Kohler. From a runaway horse to being refused lunch to swells while we fished…. I wasn’t sure I’d choose to go back there! Wyoming — Such a ruggedly beautiful state. I really want a nice long return trip to the Grand Teton & Yellowstone. Well, this post alone could have given me a 50 day series! 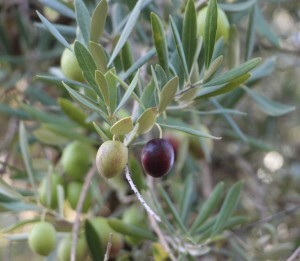 And it prompted lots of ideas that I am sure will be forthcoming. 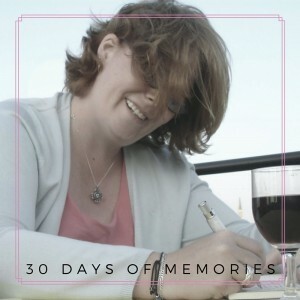 Hope you are enjoying the series of memory based stories… Now maybe you also understand why the series came to mind. Reflecting on a great life at the age of 50…. Life is indeed good! Thanks! Appreciate your stopping by!